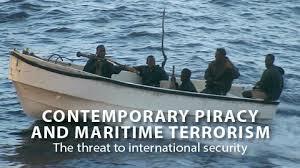 The brutal attacks in Paris this month have resulted in heightened concern regarding terrorism on the high seas. As a reminder, our sister company -- http://www.YachtMaritimeSecurity.com -- is in the business of providing consulting, training and armed protection for owners and captains interested in ensuring the safety of their vessels and crews. Call or write for more info!